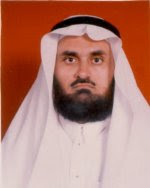 Qur’an reciter and Imam, from Syria. Amira Shahida’s Mosque, situated in Hidaya Street in Aziziya, Makkah. are broadcast by many Radio stations and also aired by many TV channels.